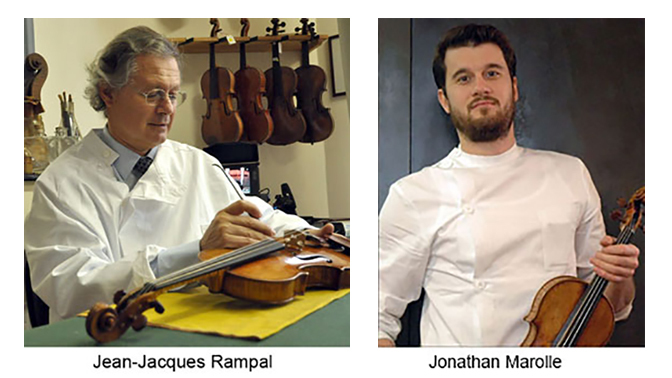 ONE OF THE MOST FAMOUS EXPERTS IN STRING INSTRUMENTS JEAN JACQUES RAMPAL, FRANCE, WILL JOIN OUR JURY PANEL. MR. RAMPAL WILL BE ASSISTED BY MR. JONATHAN MAROLLE, HIS COLLABORATOR SINCE DECEMBER 2004 AND ASSOCIATE SINCE 2017. VI International Leopold Auer Violin and String Quartets Competition. Anyone. Competition is anonymous. Names will be announced only at the end. and all the MEMBERS OF THE JURY of the VI Leopold Auer International violin and string quartet competition . The entry deadline is Sept.15, 2018. No registrations will be accepted after this date. Please register promptly. Registration is only available through the online system. You will receive an email confirmation after payment. Check-in Location on Sunday, September 30,2018 between 10:00 am. and 12:00 p.m.
Instruments that are shipped must be received between September 20 and September 28, 2018. Applcation Fee is $150 USA. The Competition will be on Sept. 30 in THREE rounds. One of the jury members will perform on competing instruments, while others will evaluate the instruments by their sounding and crafting qualities. After II Round 6 violins will be admitted to the third round. After III Round jury will announce Winner of the First Leopold Auer Violin Makers Competition and two Diplomas holders. Winner will get a prize of 1000 USD Dollars. Two runner-ups will be awarded Honorary Diplomas.